15% Off Ball Hoppers. FREE Pickle Hopper with Purchase of a Pickleball Tutor! Buy 1 Get 1 Free. Limited time offer. 15% off select scorekeepers. Limited time offer. This is a national distributor of tennis ball machines from the best companies in the industry. Monthly specials with limited supplies. Limited time offer. Close-out items starting from $9, limited supplies, hurry up. The Industry Leader of Tennis Training Tools! Click here! Check this new deluxe club cart for $179. Limited time offer. The Netzone is a proven winner. Click link to activate. Buy all 3 colors and save $33. Click link to activate. Save $10 when your order over $25. Limited time offer. 25% Off March madness sale. Limited time offer. Free teddy bear with every order. Limited time offer. 50% Off special sale. Limited time offer. Sitewide coupon code.Editor verified. Coupon code working properly. Save $5 on your orders by using this coupon code.Editor verified. Coupon code working properly. Click link to activate. Free shipping on all machines over $350 in the 48 contiguous. 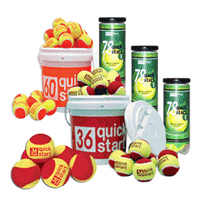 Since its inception in 1994 Oncourt Offcourt has become the tennis industry leader in creative tennis training tools, training aids, and practice equipment, including tennis backboards, ball machines, as well as court equipment and everything you need for QuickStart or 10 and Under Tennis. They have also produced their own comprehensive line of tennis DVDs, featuring instructional tips by USPTA and PTR master professional and Oncourt Offcourt founder Joe Dinoffer. If you're looking to improve your tennis playing or coaching, you've come to the right place.